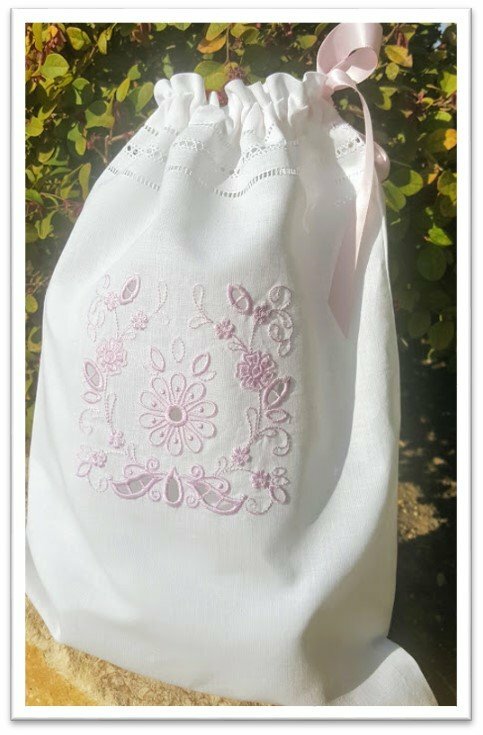 Learn how to create beautiful openwork embroidery using your embroidery machine and a pair of scissors. We will create an elegant lingerie bag. Designs will fit in a 5-inch x 5-inch hoop.